Uche Umez: Writing is a bit harder now, recalls Abubakar Adam Ibrahim. Writing is a bit harder now, recalls Abubakar Adam Ibrahim. ABUBAKAR is one writer whose short stories I so much enjoy. His writing is so evocative and lyrical most of the time. You can find some of his short stories on African Writing, Africanwriters.com, and Sentinel Literary Quarterly. Abubakar, who holds a degree in Mass Communication from the University of Jos, Nigeria, has written for Vanguard newspaper, one of Nigeria’s foremost newspapers, and, at present, he is the Arts and Culture Editor, Sunday Trust, a popular newspaper in Nigeria. ‘I figured out a long time,’ he reminisces, ‘I go that I might end up, in my old age, alone, writing by the wavering light of a dying candle, scribbling out the lines of my magnum opus – which in fact might never be read by anyone but my brothers, who will find my body next to the uncompleted manuscript. Well, that was when I was much younger. Now, things are different. ICT has made writing much easier, I guess. But it is my bonding with such images, and loving them, that has made the challenges of being a writer much easier. Writing? Tough business, really. Think of the countless hours of solitude, the sleepless nights, the cramped muscles, the strained, bloodshot eyes, the fervent drive to put the ideas in your head on paper, the irritation you feel each time someone intrudes on your thought process, the nagging hunger because eating would just waste your time, the frustration of receiving yet another rejection slip. Writing, really, is a tough business. But why, you may ask, does one go through the pains for yet another rejection slip? Because I was condemned to be a writer (don’t ask me by whom). It just seemed the only logical thing for me to do – and I enjoy doing it. While my childhood friends would be grappling with trees for the succulent mangoes dangling from the branches, I would be somewhere with a pen and a paper. Of course, my childhood was far from boring. I played a lot of football growing up, crawled around playing with crowns – did a lot of that actually – and other such things. But it wasn’t all about lying under the tree with a book and running around chasing people’s chickens. Writing was an escape from the difficulties of an impoverished existence. I grew accustomed to the pangs of hunger because there wasn’t enough to eat. Instead, I fed on my imagination. I stuffed myself full with the most delectable cuisines of ancient Persia, frolicked with veiled Arabian beauties in Andalusia, ran with the wolves in the American wilderness, explored the red mountains of Mars and sought solitude on the shady side of the moon. I had a sort of imagination binge. Feverishly putting these things on paper helped keep me sane and healthy. At a point, writing almost became the sole purpose of my existence. Was it hard for me as a writer? 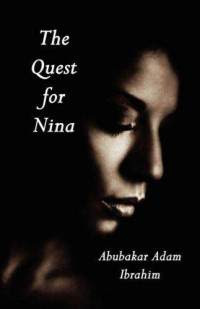 In 2007, his radio play, A Bull Man's Story, won the BBC African Performance Playwriting Competition and his first novel, The Quest for Nina, was published by Raider Publishing International in 2008 in the United States. He is currently working on his second novel. 'He urged me to enter a playwriting competition and when I declined, he bloated with anger. So I wrote, for some judges sitting in a distant London, for my brother’s ire to deflate. Months later, a letter of encouragement came back. The next year, he asked me to write again, and then the year after and the year after that. I got tired and stopped sending entries, but I never stopped writing. This time, I wrote things I believed could be published when someone, in the future, stumbles on my cache of unpublished works. And then one year, I ventured an entry once more. And I won – first Prize. A couple of prizes followed and with them the weight of expectation. It is no longer enough to write but to write well – writing well, of course being relative. Now there are deadlines, word limits and certain standards to be complied with. So, was it hard for me? Hmm. As for me, I think writing is less fun these days, maybe because the more you know about writing the critical you become of your writing. Perhaps.